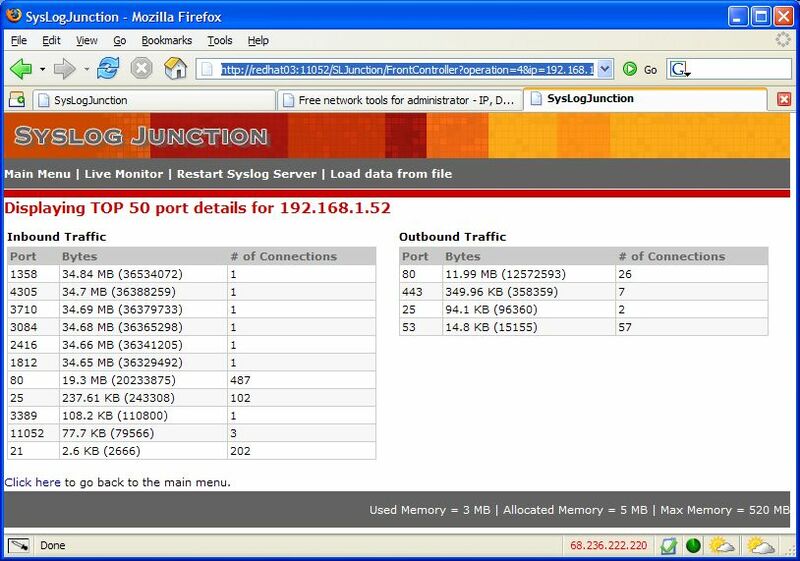 In simple terms, Syslog Junction is a syslog viewer with graphing capabilities. 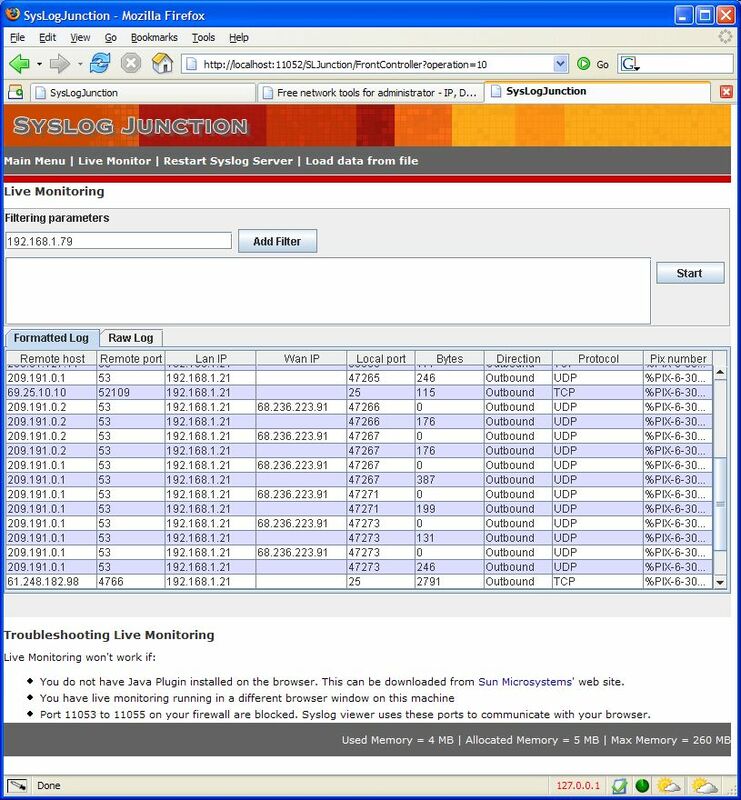 It can receive syslog messages from a server that are filtered and plotted in graphical format. Although messages from any Syslog server can be received, currently a parser is only available for Cisco PIX firewalls. Parsers for other sources will be created in the future. 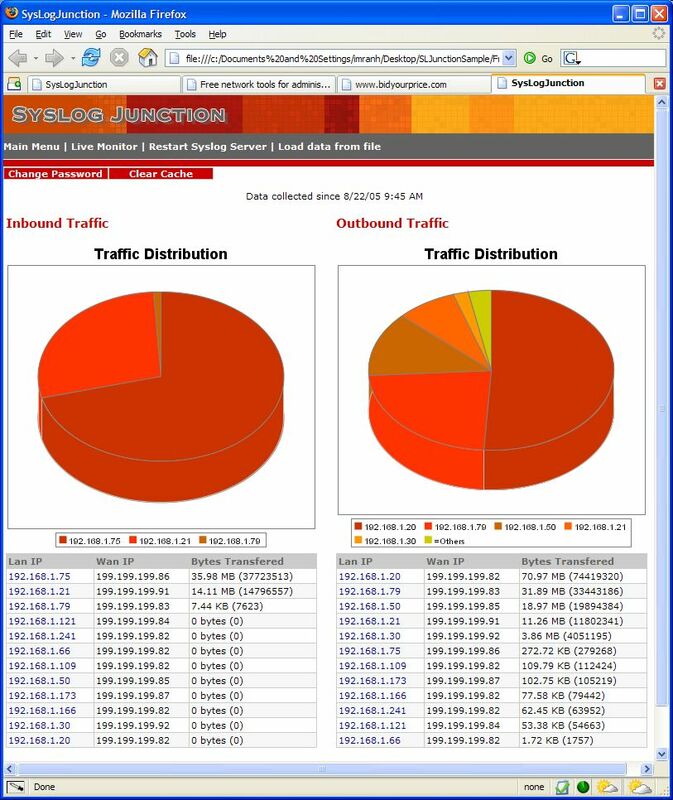 If you are a network administrator and want to know the volume of traffic through your PIX firewall, you can use Syslog Junction.